Instructions :Twist clockwise the thread to open and anti-clockwise to close. ►Hard aluminum alloy manufacturing, hard incomparable. ►Using aluminum alloy polishing treatment, waterproof, wear-resistant, high strength, durable. ►self-locking D Shape tactical caribiner clip, speed release, easy and fast to open and snap. ►You can hang in the backpack, key ring, kettle and everything and the place where they need, and can be used for tents, ropes, pets and so on, stylish and practical. ►Features-- Using aluminum alloy polishing treatment, waterproof, wear-resistant, high strength, durable. 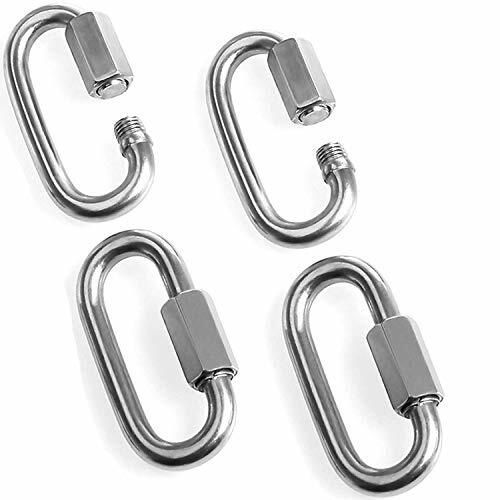 ►Application--This thick heavy duty carabiner is designed for outdoor activities, hiking, camping, fishing, traveling, keychain, backpack, ropes, pets, DIY accessories, outdoor and indoor equipment gear, etc. ►Warm Prompt-- For your safety, please close the screw lock. If you have any questions about this product by Acrux7, contact us by completing and submitting the form below. If you are looking for a specif part number, please include it with your message.